Consumers of luxe brands, which traditionally are more sept away by a product story, are becoming more interested in products with an eco-conscious footprint, and this interest will only grow. Data shows that 60% of US millennials use food ingredients to make homemade treatments as they find them more natural than the products sold in stores. Overall, global demand for organic personal care will reach $13.2 billion by 2018, with 55% of global online consumers willing to pay more for products and services provided by companies that are committed to positive environmental and social initiatives. Results from a March 2014 year-over-year analysis show an average annual sales increase of 2% for products with sustainability claims on the packaging and a 5% lift for products that promote sustainability actions through marketing programs. Gluten free, corn-free, waterless, Halal are the new norm; urbanism, pollution and the rise of allergies will begin to influence a brand’s ingredients, and affect consumer engagement and purchase. Consumer demand has been growing ever since people realised that their skin is not a barrier, but works like a sponge. We absorb every chemical that we put on our skin and we expose ourselves to dozens of such chemical substances every single day. The beauty industry has a great effect on people’s health and the environment, that’s why it needs to take more steps toward sustainability. The consumers play a very powerful role to affect positive change in this industry. The awareness helps this eco trend to grow enormously. More and more people decide to make their beauty routine more sustainable and friendly to the environment by reading the ingredients, choosing organic products, being familiar with company values and making their own skin treatments. Joshua Scott Onysko, Pangea Organics founder, says: “If you can’t pronounce it and you can’t eat it, it’s probably not natural”. None of us would put chemicals into our smoothies, so why would we consciously put them on our skin? Pangea Organics is a clean ingredient skin care line based in Boulder, Colorado. You can eat all the ingredients that are used in their products. Pangea Organics became the first company to introduce biodegradable, compostable, origami fold packaging. You can plant the box and it will grow into a plant. They would never use parabens, GMOs, petrochemicals or other harmful ingredients. Their Mud Mask was literally made out of Joshua’s breakfast – goji berries, acai, matcha green tea powder and other beneficial ingredients. Simplicity is the key to success. Jurlique is an Australian based company that goes one step further than other organic companies and promotes the idea of Bio-dynamic brand. “Organic farming standards are about what you don’t do to your farm, ‘absence of’ chemicals, etc. Biodynamic is the absence of chemicals etc. PLUS proactive farming such as composting, crop rotation, i.e., not just about keeping soil clean from chemicals but also adding nutrients back into the soil and leveraging the local eco-system,” explained Eli Halliwell, Jurlique’s previous CEO. The brand refrains also from using the “anti-aging” term, they prefer to call it “Graceful aging”: a concept of happy, healthy and naturally beautiful people that embrace the natural process of aging. Jurlique won the prestigious 2016 CEW Eco Award for making measurable changes towards building a more sustainable business. They installed solar panels and power production system to make them self-sufficient during summertime, they are reusing the water from their factory to irrigate their plants and changed the packaging. It results in 70% less waste and 28% smaller environmental impact. Zk’in Organics is another Australia based company that cares about the environment and the health of the customers. Grace Culhaci, Zk’in’s founder, developed a skin condition during her pregnancy that forced her to get rid of any toxic ingredient from her bathroom. This inspired her to make a change in the market of skin care that claims to be organic but contains hidden toxic ingredients and carcinogens. She calls the brand the “honest beauty”: 100% certified organic, vegan, cruelty free with clinically proven results. Davi is a skin care brand inspired by years of winemaking heritage from Napa Valley vineyards. This revolutionary line uses byproducts of winemaking process that together with modern technology create unique, luxurious products “created by nature, harvested by hand”. The core of their product is Meritage, microencapsulated anti-aging antioxidant complex, a unique blend of grape and fermented wine extracts, green tea, raspberry, black currant and bilberry extracts, rosemary and olive leaf extracts. Shiffa means “healing” or “to heal” in Arabic, and this name reveals the brand’s philosophy. Their products are natural and based on the principles of dermatology. Inspired by ancient Arabia, Shiffa encourages complete indulgence in the most luxurious sensations, transporting the mind and body on a journey of wellbeing and calm. Their ingredients, such as Iranian rose, South East Asian tamanu, Indian amber, Egyptian jasmine, Lebanese orange blossom and African shea butter create luxurious, natural products that deliver exceptional results. 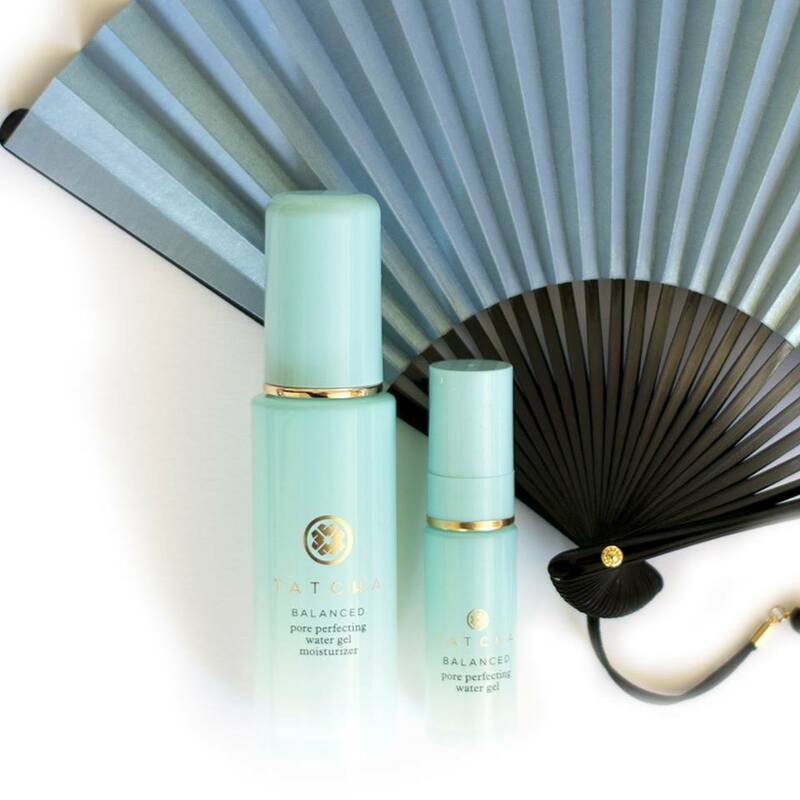 Tatcha is a brand inspired by Geisha beauty rituals. The founder discovered a world of beauty and heritage on her trip to Kyoto. A modern-day geisha introduced her to a different skin care approach: less is more. These companies represent the values that are crucial for all modern sustainable skin care brands: the less is more and the real beauty is found in simplicity.